Bournemouth SEO and digital project companies are plentiful. This is because for a relatively small town Bournemouth has a thriving tech and digital industry. 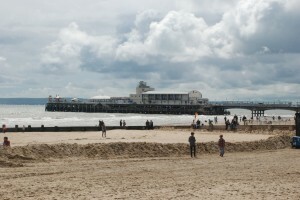 Due I believe in part to fantastic Digital Media courses on offer at Bournemouth University and Bournemouth and Poole Colleges, combined with the lure of the fresh air and golden sandy beaches. So where should you start when looking for a Bournemouth SEO? SEO is losing its distinct language definition whilst at the same time becoming a more specialised industry with many niches. SEO is the acronym for ‘search engine optimisation’. However more recently it has also become an adjective and a verb. Used to describe the function or process of SEO. Or even any person or company that performs that function. It also more recently seems to be used to refer to anything from search engine optimisation to search engine marketing, even social media marketing, content creation and a host of other search related functions. It is all often referred to simply as ‘SEO’. So where should you start when looking for a Bournemouth SEO company? Your SEO KPIs (key performance indicators), the measure of the success attained will depend wholly upon your goal. These should be decided prior to the start of any SEO project. For instance where lead acquisition is concerned if your primary goal is newsletter sign ups you can measure this quite easily with the growth of your database. Additional KPIs over this metric may then be measured such as the location of the signups. To a lesser extent you also need to decide if these SEO goals apply locally, nationally, internationally or even globally, as each will present their own opportunities and challenges. When you know these factors you can start to look for someone to help you with your SEO requirements. Perhaps if your goal is international recognition and brand growth a locally based Bournemouth SEO professional should not be your primary concern. What can help you find a good Bournemouth SEO Agency or Individual? Bournemouth SEO’s are in the business of getting businesses found online so they are not usually too hard to locate. All of them should have a website. Which should be easy to find, but first it would be best to leverage your network of contacts and ask for recommendations. Whether you are looking for a SEO consultant, an agency or are willing to take on a part or full time employee, many people forget to ask their contacts for recommendations. However remember you need to find an SEO who’s experience, skills and successes fit your specific goals. The SEO recommended to you may not fit your specific goals. But all is not lost, given Bournemouth is a tight nit community of digital project professionals no doubt they will be able to point you in the right direction. If you are based in Bournemouth and looking locally within Bournemouth for an SEO you will have a distinct advantage though. Meet with their sales representative if you must. But make sure you talk to the SEO executive or employee who will work for you (or on your contract). Ensure you can work with them and that they clearly understand your goals. Bournemouth also has a number of business networking events for small to medium sized companies. These can be an excellent way to not only find an SEO specialist but to build a wider network of contacts. So what should you look for in a honest and decent SEO? First and foremost you should not be promised page one rankings in x number of days, weeks or months. No one in SEO can make these kind of guarantees. Also you must understand as search engines such as Google start to personalise more results specifically for each user there is less of a traditional page one SERP (search engine result page). Any potential SEO you plan to work with should be happy to speak with you or meet with you initially without charge, if not walk away. But also do not expect them to reveal all their secrets. I have worked with in and around the Bournemouth SEO and search industry for years and the one thing that always comes up at networking meetings are the ‘clients’ who book free meetings to pick SEO brains and nothing more. You know who you are. But that doesn’t mean you shouldn’t ask questions, your SEO should be able to tell you what they will do generally speaking and even why. Want a rough idea of what to ask? Read this blog post. What any SEO should offer you is better results than you have previously experienced with no specific promises regarding the magnitude of those results. Depending upon the goal or goals you have chosen the SEO should also be able to offer implementation for monitoring and reporting of these KPIs. After all if they are doing such a wonderful job they would surely want to be able to quantify it for you too. A contractual period is normal, since no SEO endeavor will produce results immediately. But negotiate a break clause at around 3 or 6 months. you should see some sort of return on investment by then. Don’t be afraid to shop around some agencies charge clients simply for the time. Smaller SEOs are willing specifically for ecommerce businesses at least to work on commission. You might need to kiss a lot of frogs, but don’t forget to listen to your gut. Learn a little about SEO now to better choose your business partner. Currently residing in Bournemouth, when Gareth isn't managing digital projects or writing about SEO he can usually be found under an old car of some description usually trying to fix it or make it go faster. Cars like search marketing or project management are logical and methodical, but each have their own unique challenges.